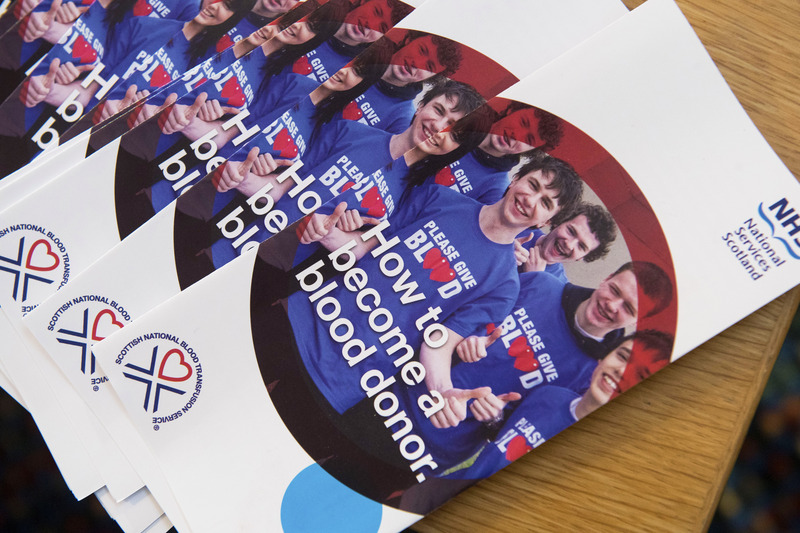 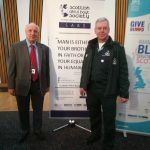 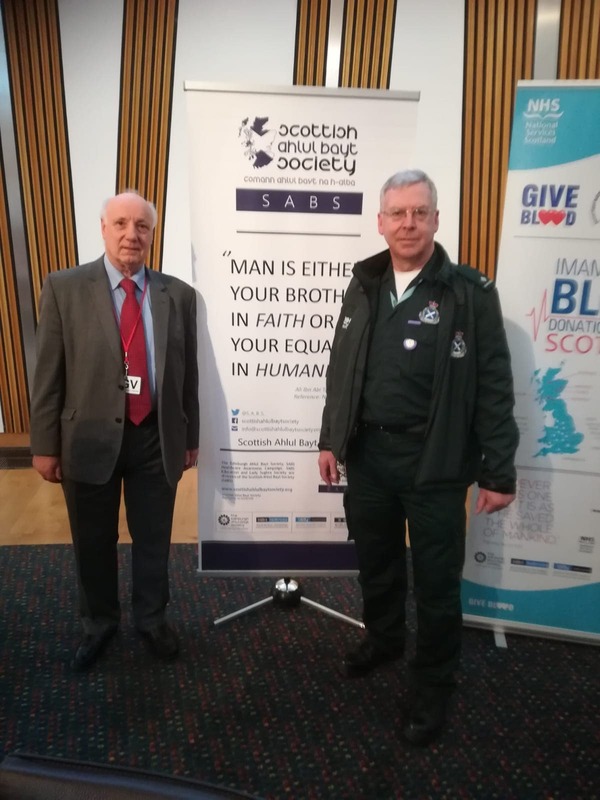 SABS MSP Briefing: Scottish sports working together to save lives and promote blood donation. 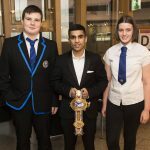 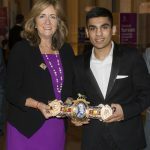 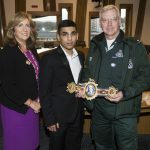 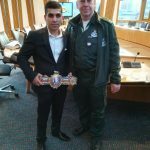 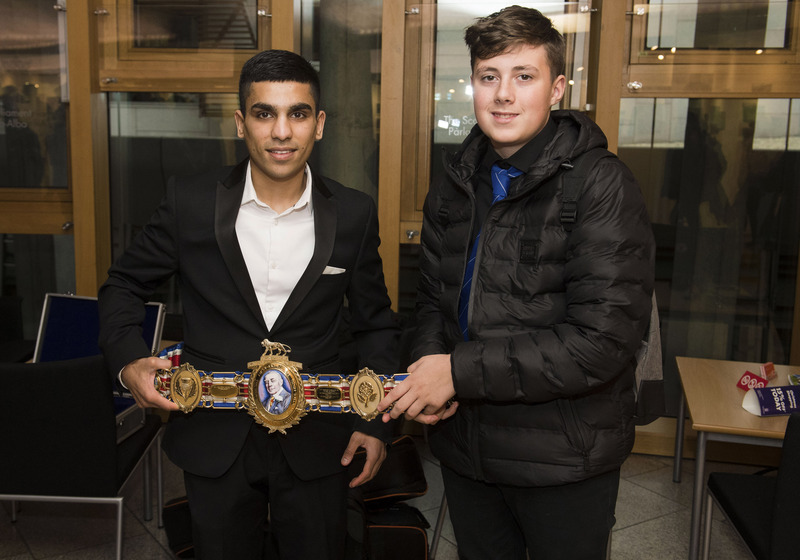 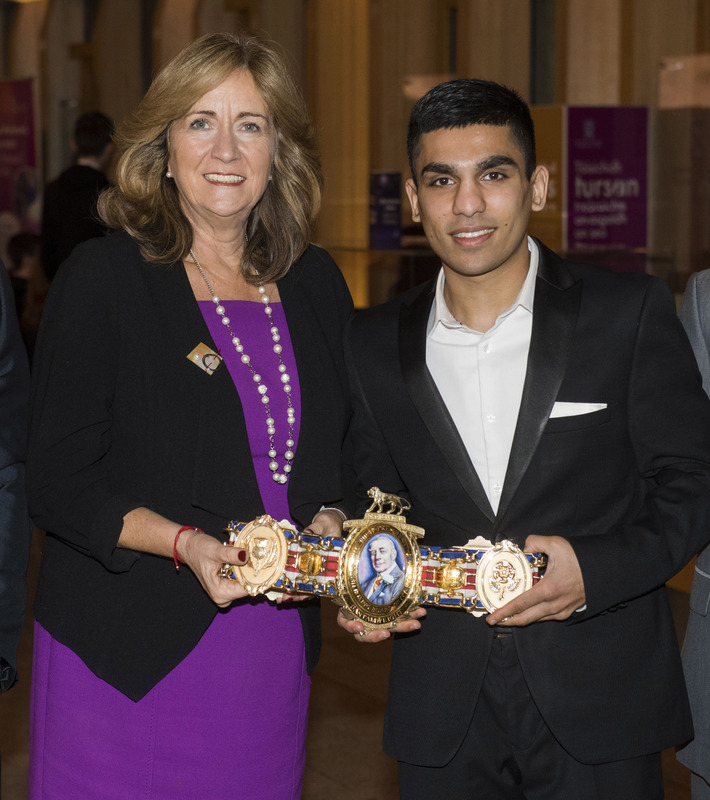 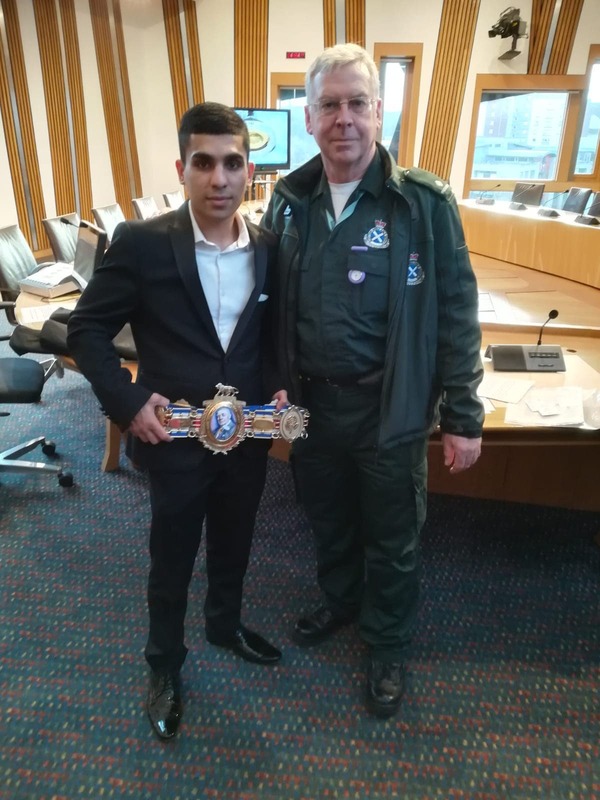 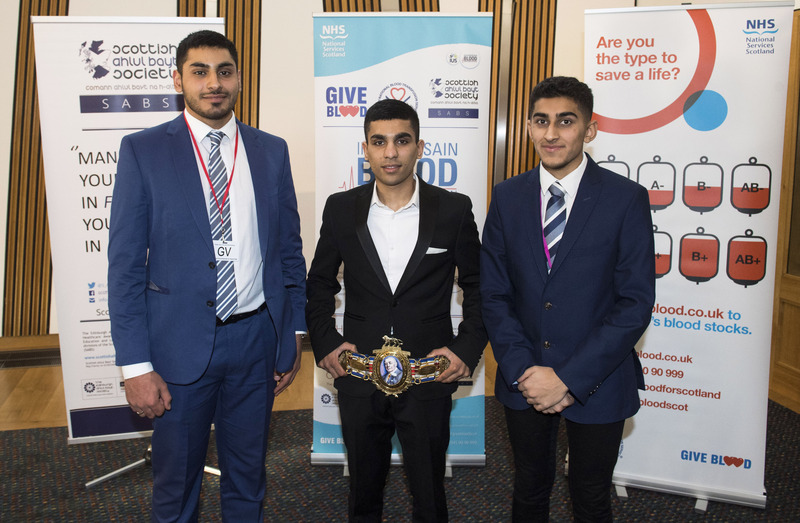 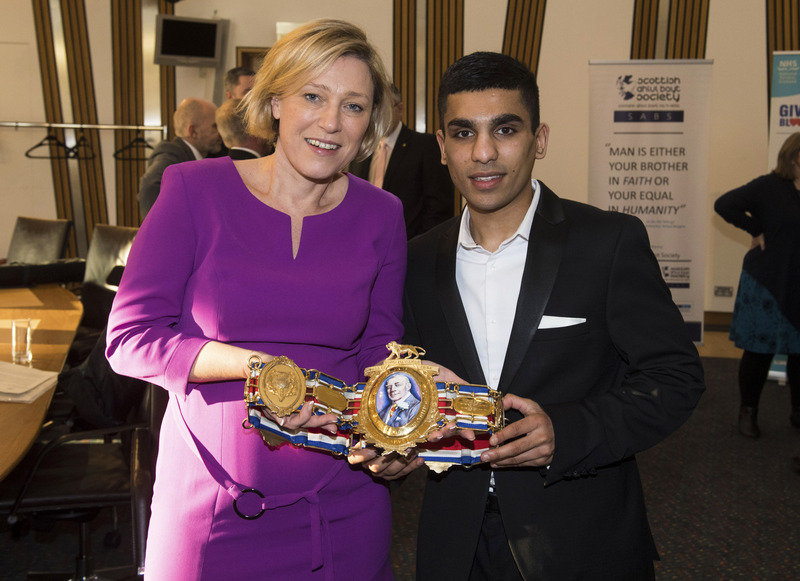 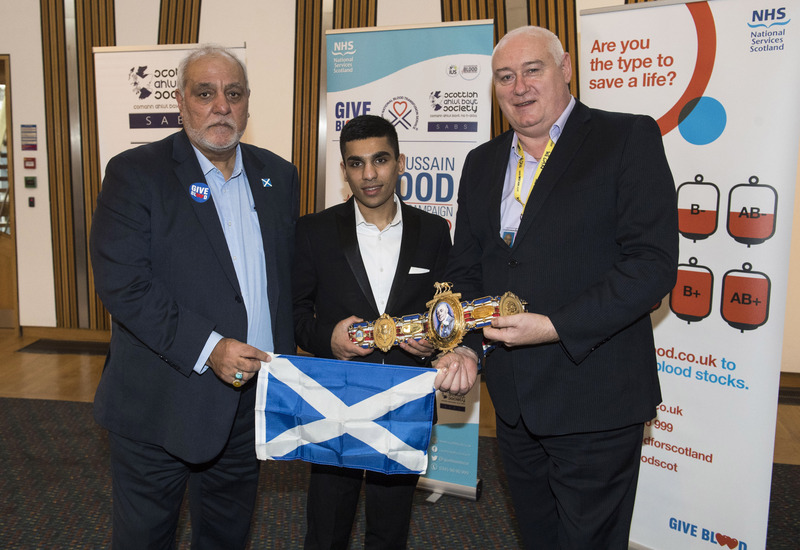 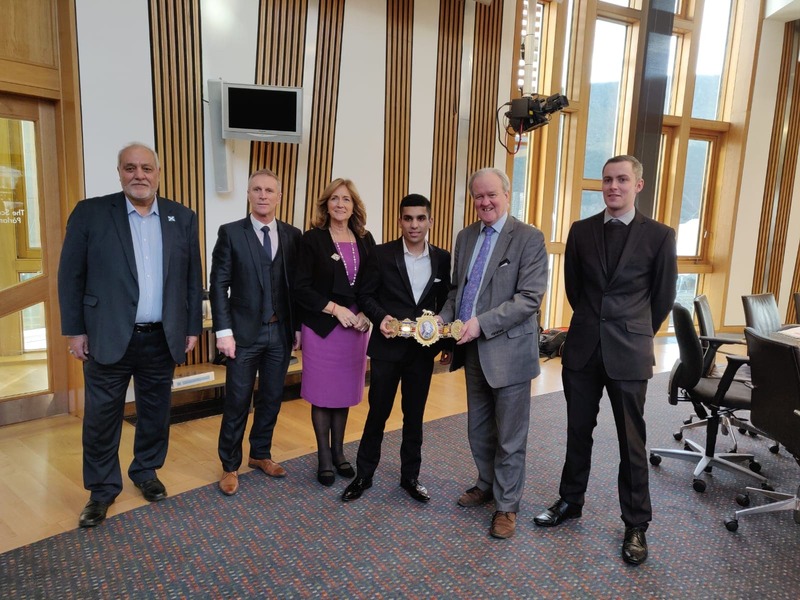 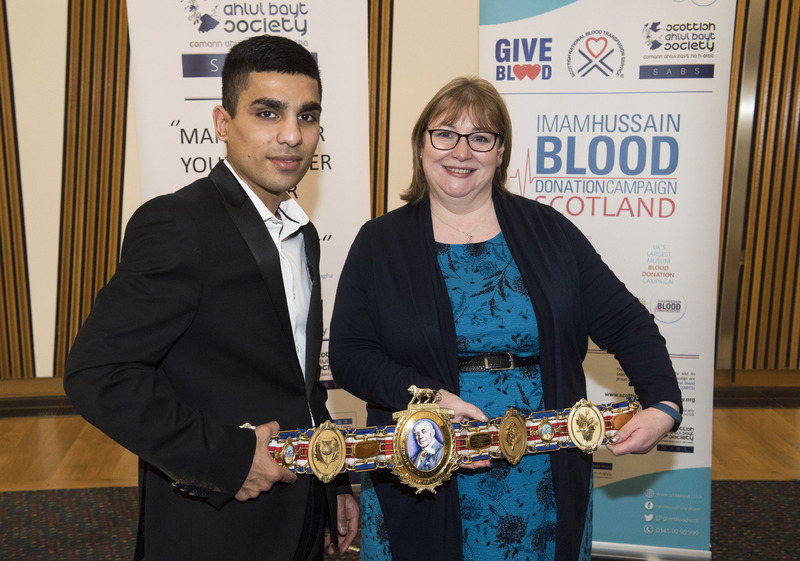 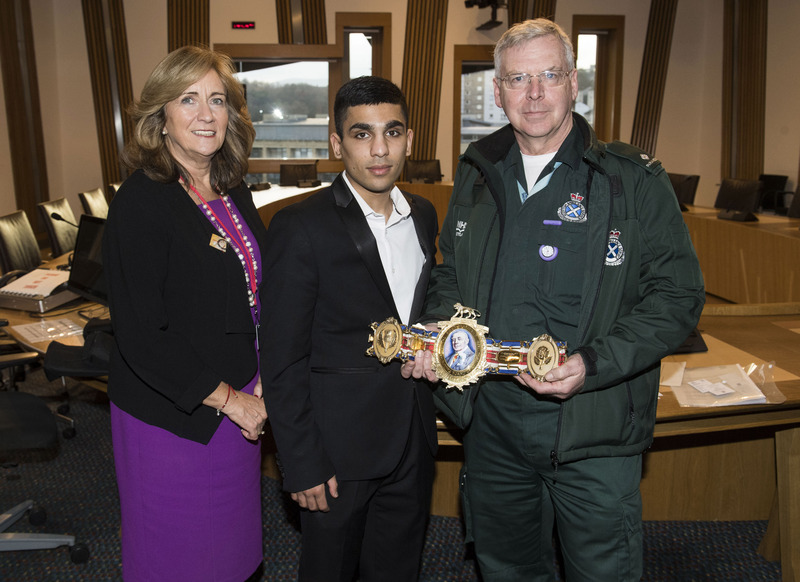 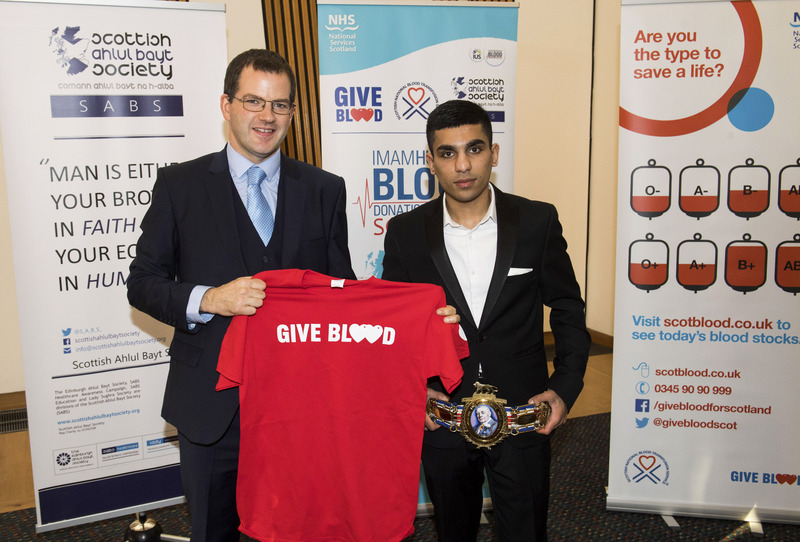 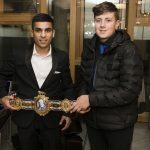 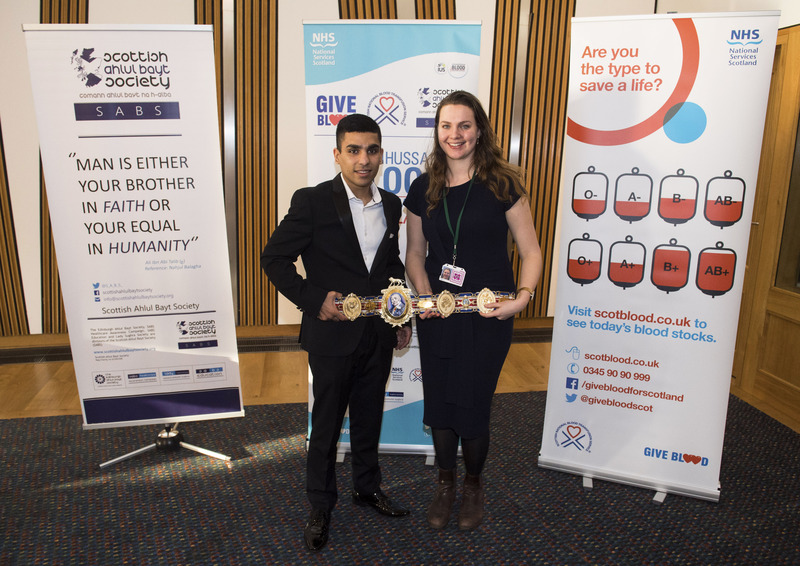 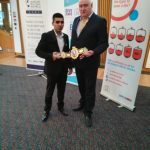 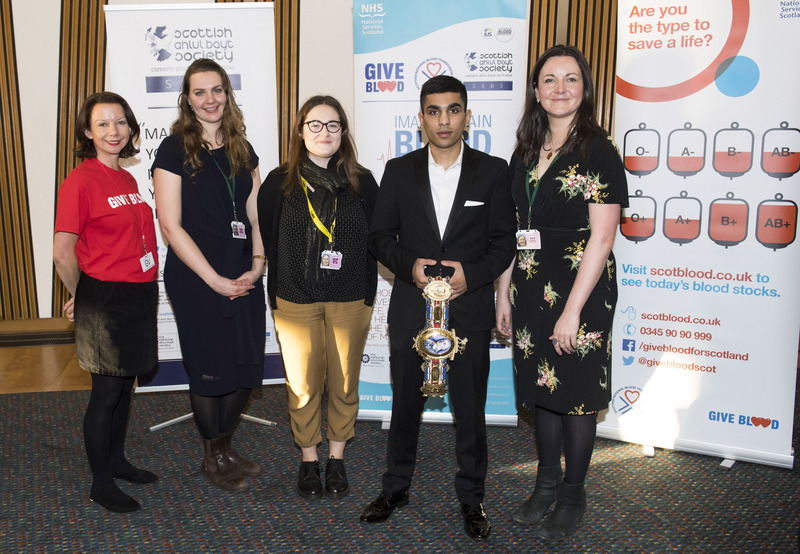 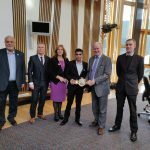 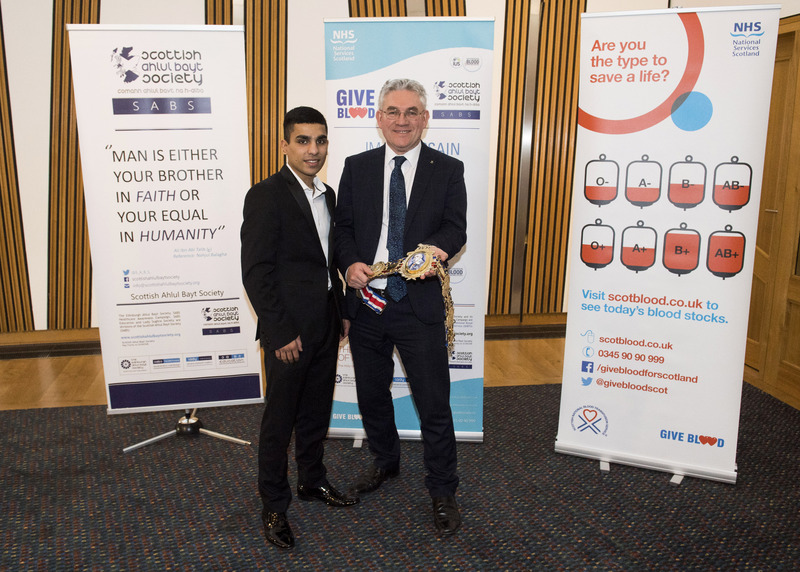 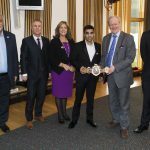 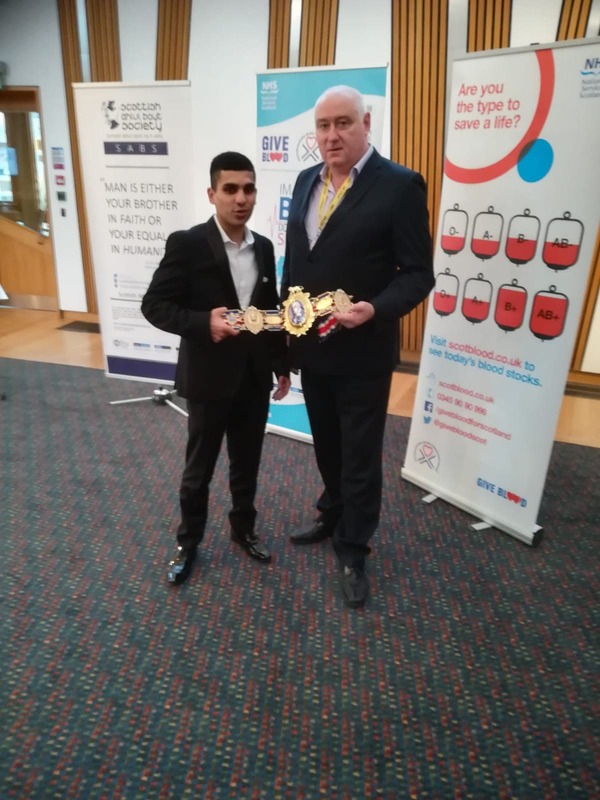 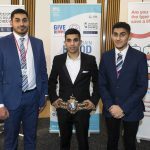 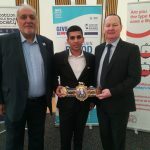 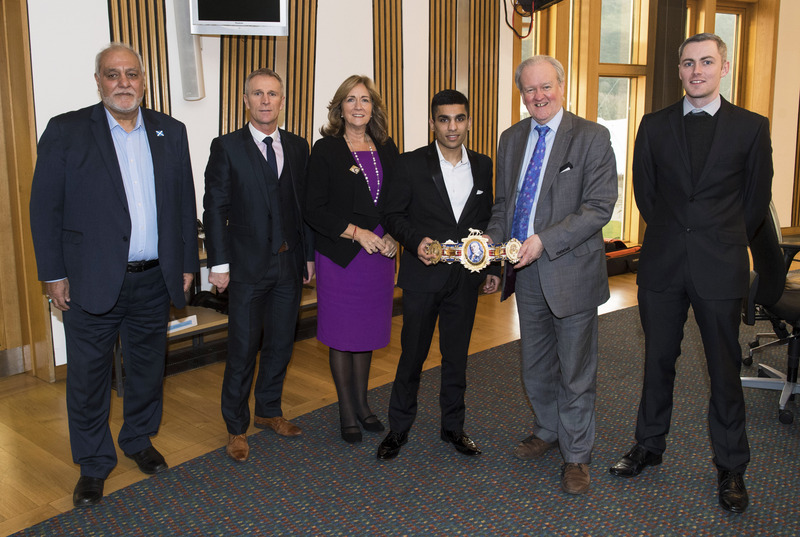 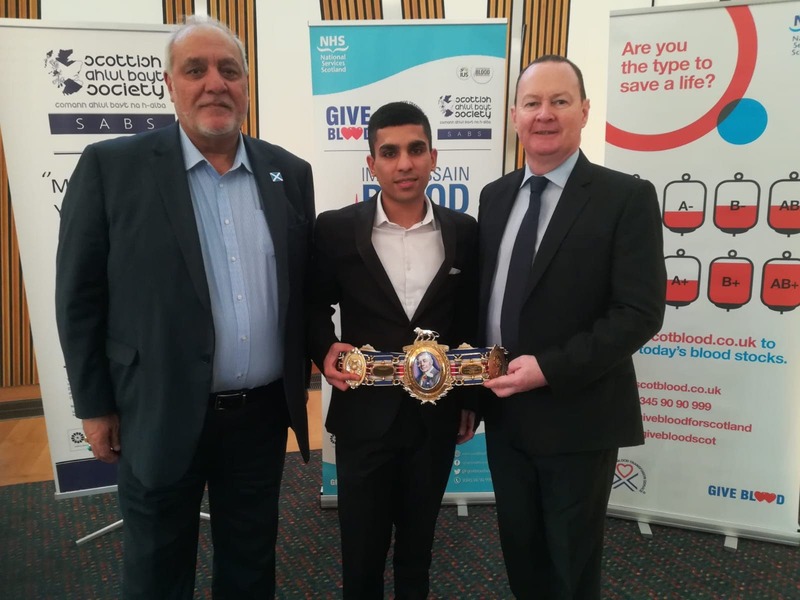 The Scottish Ahlul Bayt Society (SABS) organised a drop-in at the Scottish Parliament, sponsored by Bill Kidd MSP, for members of the Scottish Parliament to meet with SABS, the Scottish National Blood Transfusion Service (SNBTS), the St Andrew’s Sporting Club (with British bantamweight boxing champion Kash Farooq, Ambassador for SABS’ Blood Donation Campaign), the Scottish Professional Football League (SPFL), the Edinburgh City Football Club and the Scottish Ambulance Service on Wednesday 12th December. 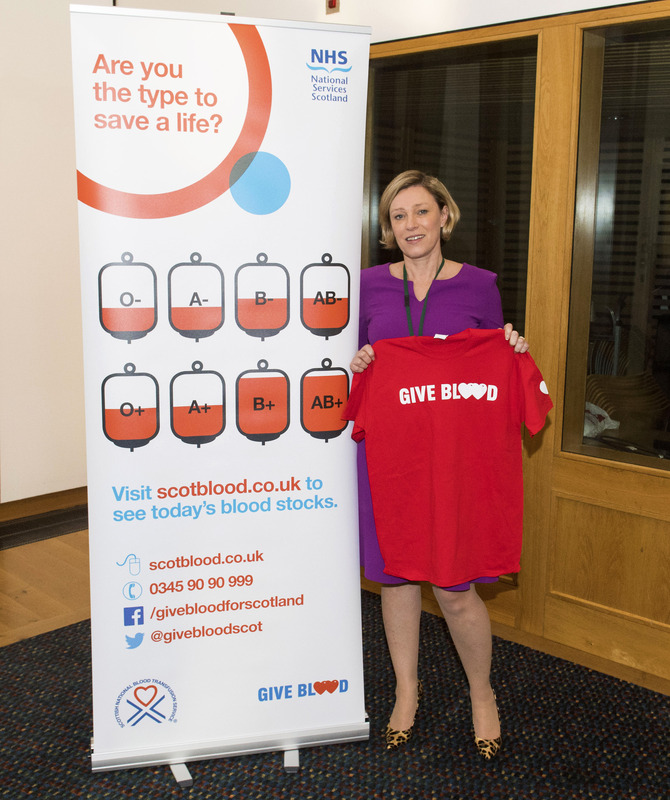 Primarily, the meeting showcased the launch of a coordinated action in Scotland to catapult and promote the work of blood donation and the recruitment of blood donors from all parts of Scottish society, and was the platform for this group to seek to obtain the support of MSPs for the work of bringing this message to Scotland’s sporting industries. 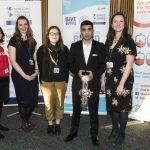 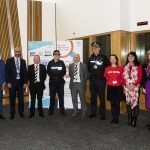 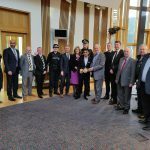 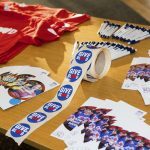 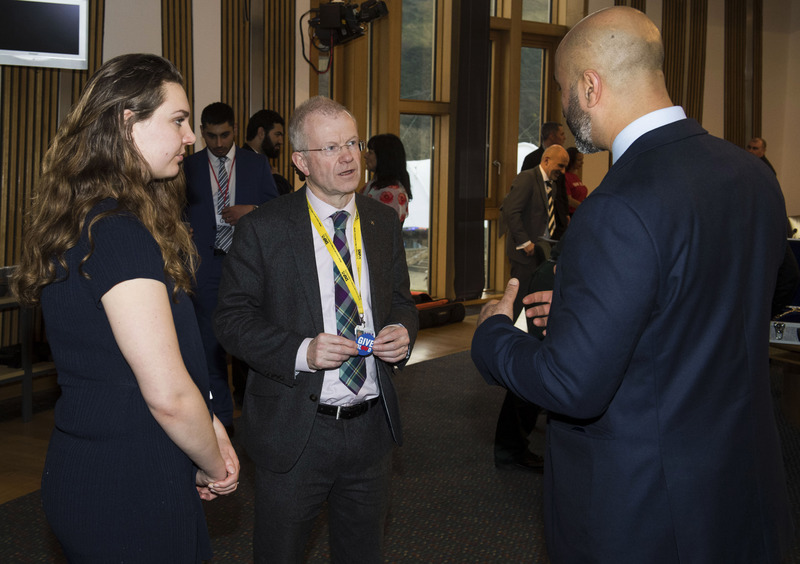 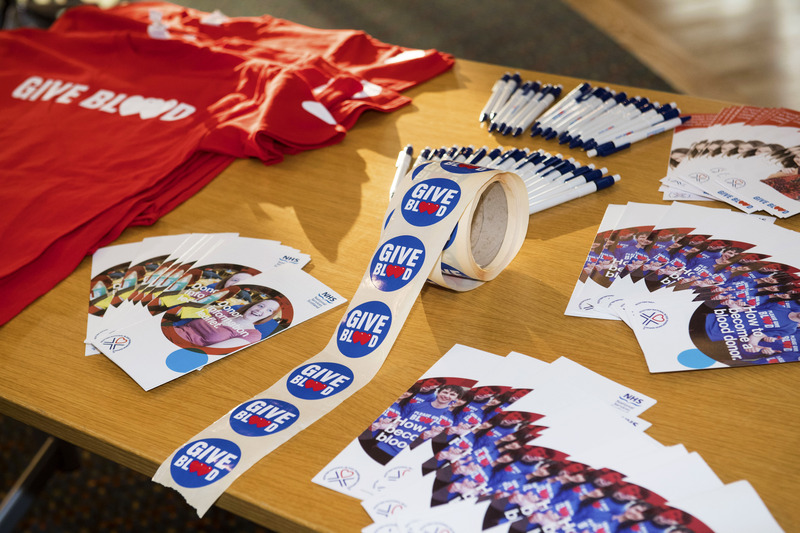 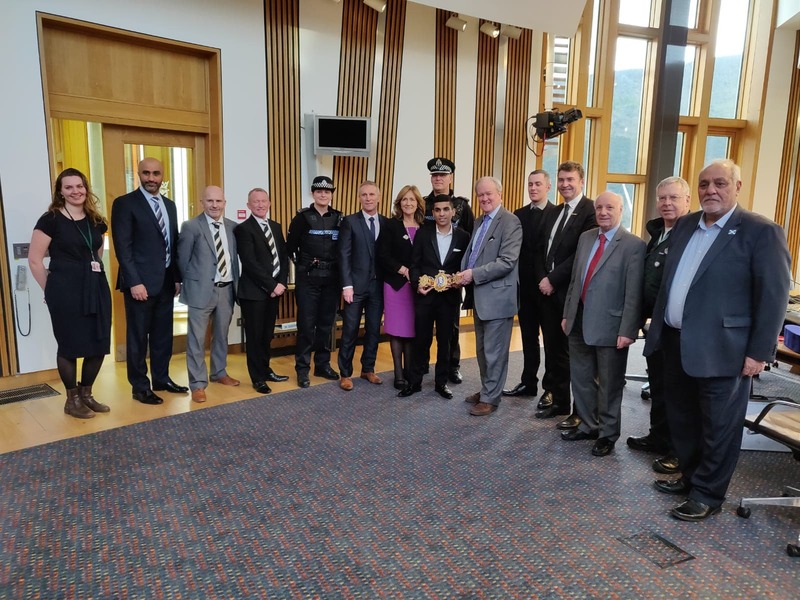 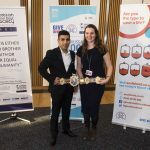 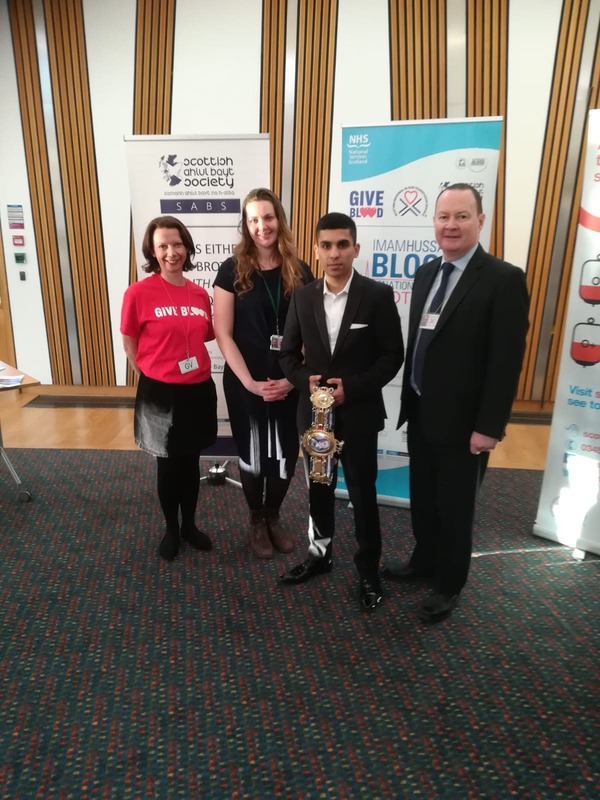 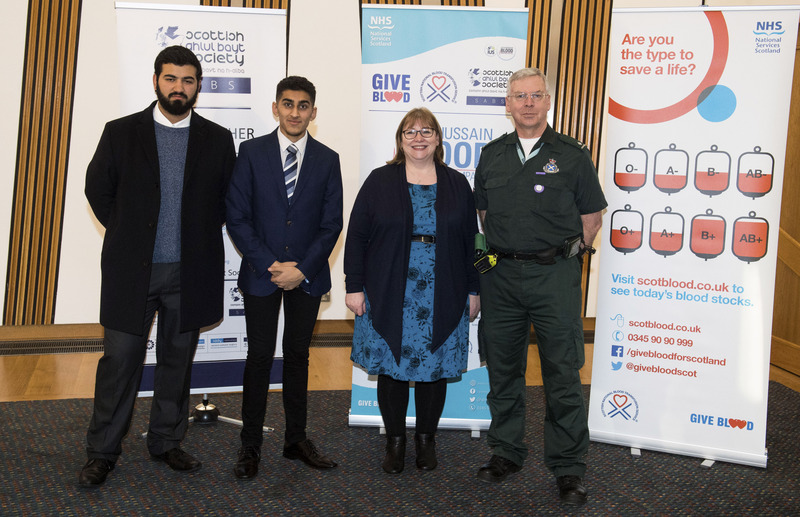 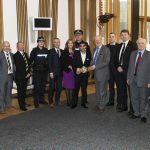 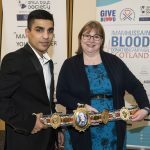 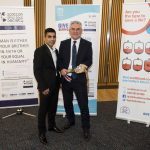 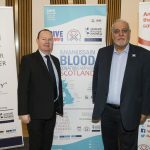 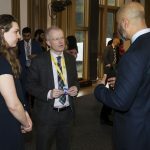 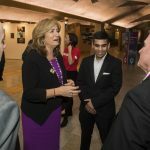 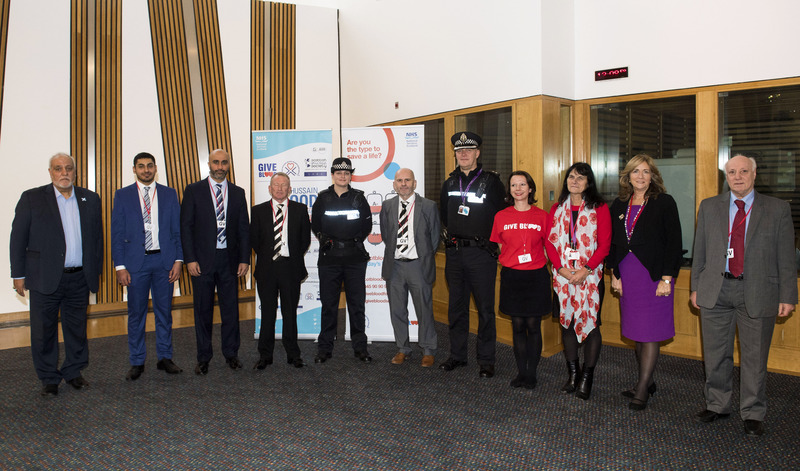 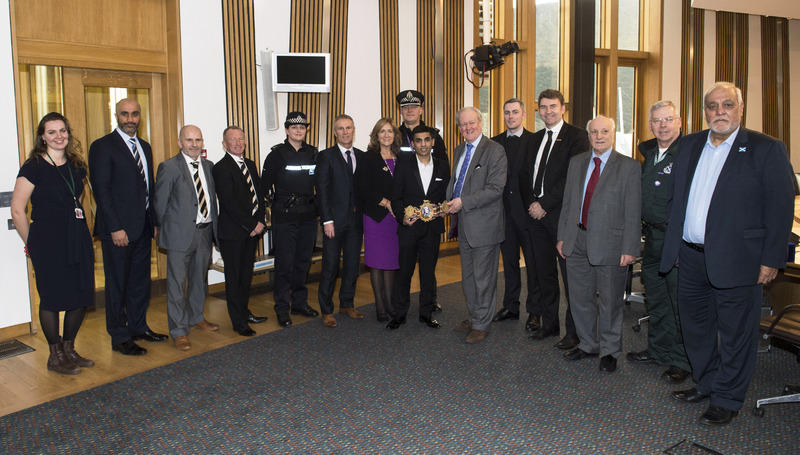 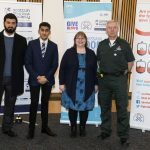 The drop-in brought together MSPs with these organisations who share a commitment to working jointly to bring the importance of blood donation to the forefront of discussions with young adults in sport. 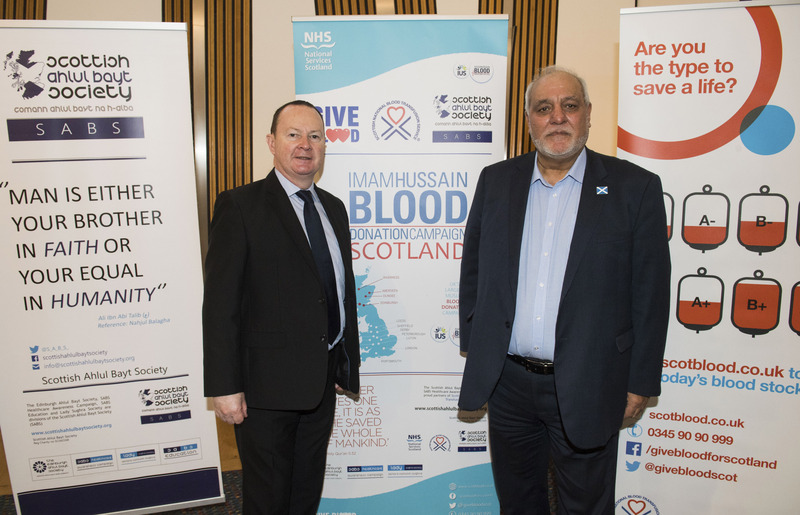 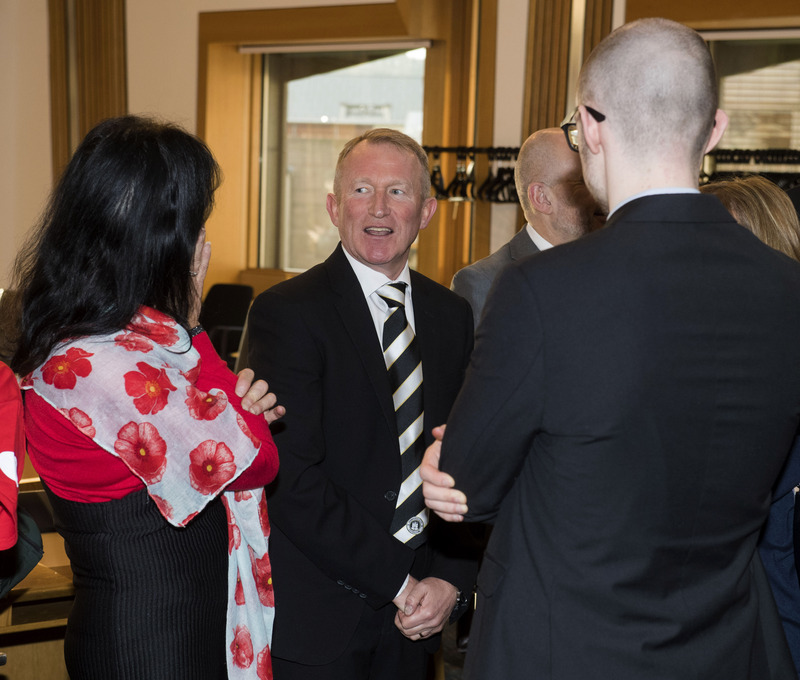 MSPs received briefings on blood donation. 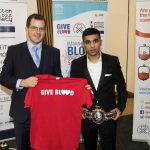 This sports-focused and collaborative approach has the potential to encourage thousands of young people to give blood. 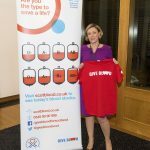 The NHS is wanting to encourage young adults (over the age of 17) to give blood to save a life. 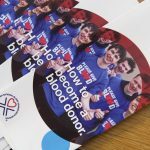 Around half of current blood donors are from people aged 45 and over, so bringing this to the attention of the younger generation is vitally important.